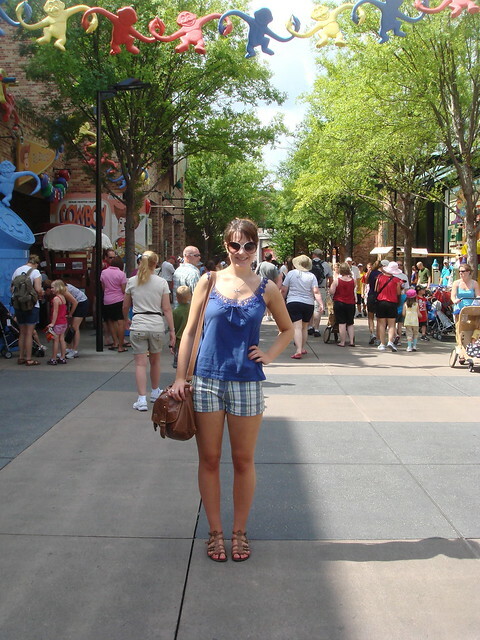 So I’ve finally got round to doing my Florida posts! 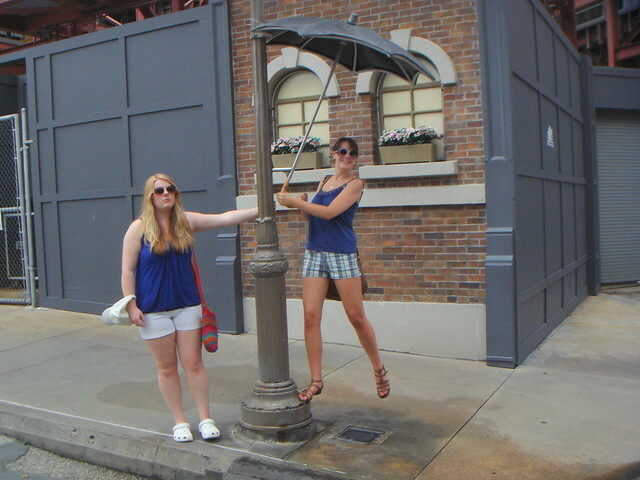 I’ve spent aaaages editing, sorting and loading my pictures to Flickr, now all I’ve got to do is organize the posts. Altogether we must have had about 2000 photos (1100 of them are Beth’s! ), so I’ve got a mixture of all of our photos, except my dad’s, and made a few (okay, about 7) collections of photos to go into my posts. So I hope you enjoy them! So here’s my sister and I in the airport lounge. 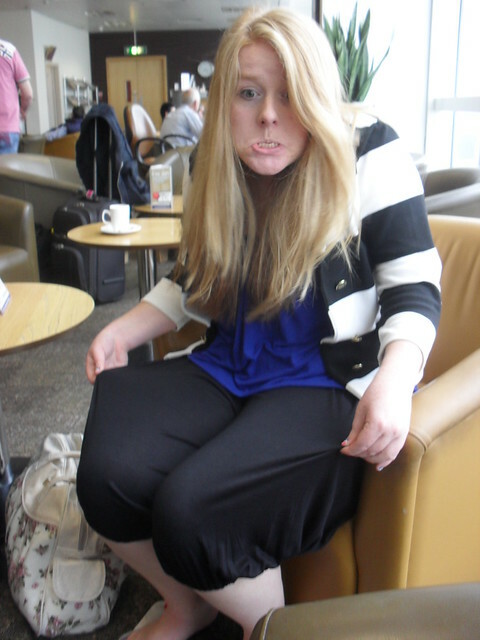 Beth’s weird face is about the harem trousers she’s wearing! Neither of us are fans of them, but Beth was originally wearing shorts, but when we got to the lounge, the woman at the desk told her she wasn’t allowed in in shorts so she had to buy the cheapest thing she could, and that was these trousers!! 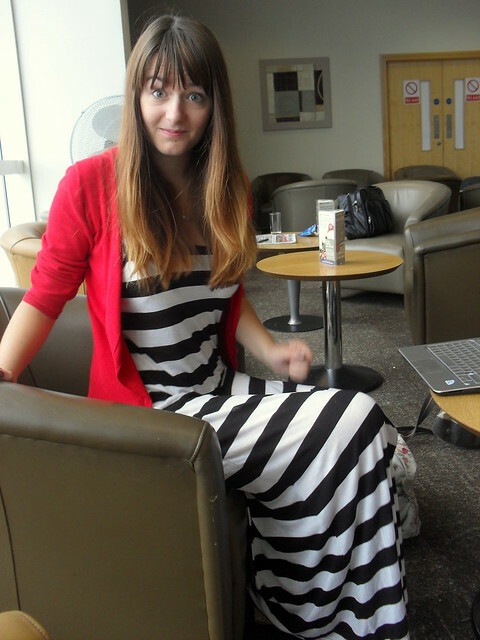 I’m wearing my H&M maxi dress with red New Look cardigan. 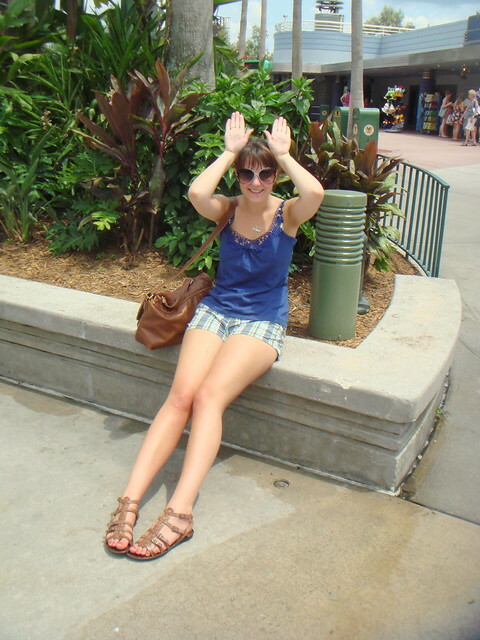 First day: Disney!! 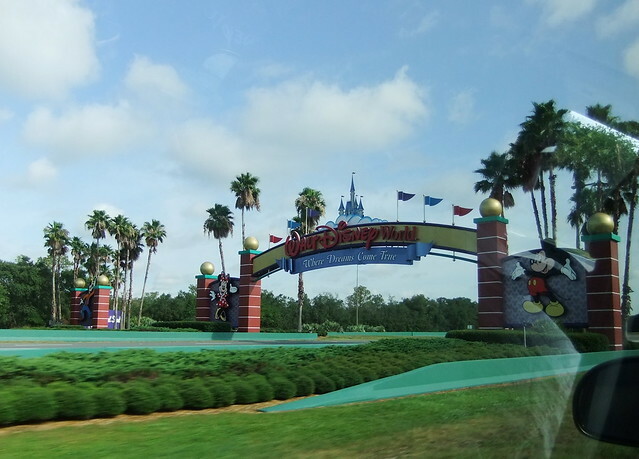 We never usually do a Disney park on the first day because we’re too tired from the flight, but this time we were planning so much we decided to get a park done then, so we did Disney’s Hollywood Studios. Oh and a final picture for today, I got my mum, dad and Ben on Tower of Terror (they don’t like scary rides), and they hated it!! They wouldn’t speak to me and Beth afterwards haha!! Previous Post I’m back again!! Next Post True love stories never end..
Oooh, fun! I’m looking forward to all your vacation posts! 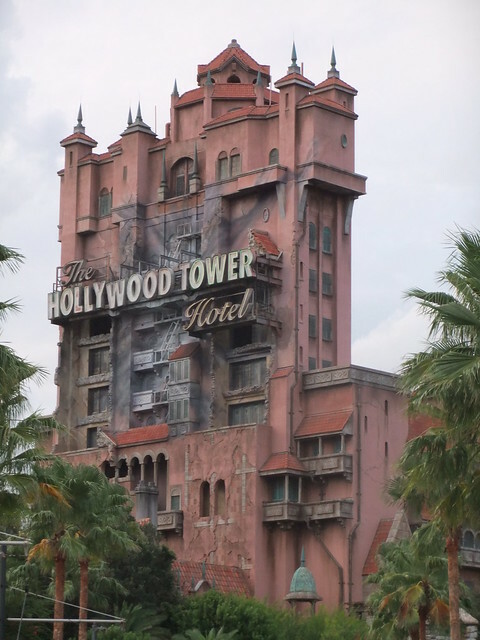 I’ve actually never been to Florida even though I live in the U.S. We have a Tower of Terror at Disney’s California Adventure park, though. I got my husband to go on it with me once because I didn’t remember it being THAT bad, and he hated it and won’t ride it again.